Arsenal manager Unai Emery has been handed more good news on the injury front ahead of the clash with Leicester City in the Premier League after the international break. The new Arsenal manager has guided his team back into form after a tough start to the season which saw him lose his first two games against Manchester City and Chelsea. During Arsenal’s rough start to the campaign, one player who was hit with a fitness blow is Ainsley Maitland-Niles, as he was enjoying some playing time under the new Arsenal boss. The young midfielder was forced to limp off due to a left fibula fracture which he sustained in the 2-0 loss to Premier League champions Manchester City. 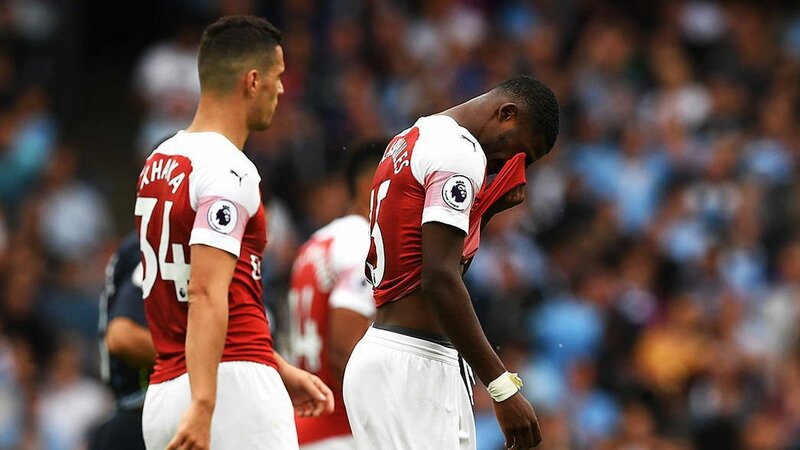 However, ahead of the clash with Leicester City at the Emirates stadium after the international break, Maitland-Niles has now returned to training with the first team squad. “Now returned to full training following a small fracture to left fibula in August.” a report from the club’s medical staff stated on the official website .